In 1899, Thorstein Veblen wrote The Theory of the Leisure Class, a book which described how the new rich of industrialized societies separated themselves from those socially inferior to them by displaying their indifference to cost and utility. 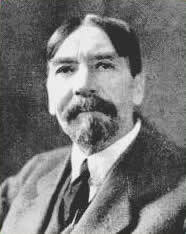 Veblen was a crank (he always gave his students a "C" grade) and he was an opponent of what we would call "free enterprise" but Veblen understood that social, rather than economic, considerations were driving much of what was superficially economic activity. The term he invented - "conspicuous consumption" - describes the reason why rock stars and Hollywood starlets drive SUVs, while condemning those of a lower order for driving these big machines: some are more entitled to consume fancy goods and services that others, and that distinction is what makes them "better" than others. The grand success of market economics has made affluence so general - too general - so that material luxuries which once separated those who consider themselves the elites of society from their putative inferiors are available to even Americans of modest means. What has grown up in place of the Leisure Class is the Lecturing Class. Capitalism, George Gilder once noted, is simply the act of giving with an expectation that this giving will be reciprocated. Most Americans, those who fall within what was once called "Rugged Individualism", relish the right to earn what we get. Americans with this outlook are sometimes called "producers" and those with opposite outlooks "consumers" but that really describes little. Goods and services are increasingly intangible, and production without a thought of benefit to others is hardly an act of giving. William Rusher once used the term of "verbalists" to tag those whose works are unwanted by Americans and who intrude into public life with all sorts of "slash and burn" tactics. Rusher distinguished producers from verbalists, and that comes close to the market. But in another sense, the leftists who seek to elevate themselves among the rabble are not "verbalists." They loath words, books and text. They adore images, emotions and slogans drained of any meaningful words. These self-anointed aristocrats want servants, even if the servants are simply a forced audience. They are not a Leisure Class or a Verbalists Class, but a Lecturing Class. The lesser beings supposed to bow before them are the Serving Class. Members of the Serving Class do not fit into any neat pigeon hole. Bill Frist, now Majority Leader of the Senate, is a surgeon who has dedicated his life to improving the health of others. Senator Frist is rich and powerful and famous, but he is also emphatically a member of the Serving Class and not the Lecturing Class. College professors at mediocre schools and modestly successful lawyers are members of the Lecturing Class. They may lack money or power, but they live to tell others what to do and how to live. Whole clumps of society have become part of the Lecturing Class: bureaucrats, legislators, psychologists, lawyers, pundits and advocates. But this class includes more than just these. Writers and producers of popular entertainment who have long since given up the desire to amuse and to inspire for the goal of deprecating and of exalting are not Serving Class members, but Lecturing Class members. The divide between these classes does not always occur at obvious places. Government employees are often rightly considered less efficient and less motivated than private sector employees. Postal workers, garbage collectors, policemen, road repair crews, coast guard officers, water line engineers and a host of other government employees are members of the Serving Class, while the legal division, human resources office or charitable organ of a private corporation are members of the Lecturing Class. The first group of employees actually provides a benefit that people want, while the second group of employees bosses and harangues others to do what the Lecturing Class thinks is best. Public school teachers who actually instruct in language, math and science may "lecture" but they are actually serving. Priests, rabbis and ministers also lecture, but these are directed to congregants who very much want the lecture or dialogue. The effectiveness of members of the Serving Class increases as options (i.e. freedom or choice) is available, but the fundamental task of a nurse in the socialized medical system of Britain or the private medical system of America is the same. The real problem today is that the Lecturing Class has become so much a part of all aspects of modern life that Lecturing Class members proliferate everywhere. Each one supports the other. Federal agencies pass mandates to state agencies who require them of corporations which turn to consultants who are trained in silly college courses...and so on. At some point, the gravitational force of lecturing, rather than serving, may simply overwhelm the healthy impulses of individuality and difference. Because we are all, in some ideal condition, both servers and lecturers. The former bestows the right to do the latter. So a war veteran can warn of us of the dangers of war or of appeasement because he has "served" his country. Parents can talk about the real problems of parenting because they have lived through those problems. And so forth. The Lecturing Class in America today, however, holds its special status - which must be supported by tax dollars, corporate budgets, foundation grants, and other non-market pressures - because its members feel entitled to lecture, without any obligation to serve. And those in the Lecturing Class feel that the rest of us are consigned permanently to the Serving Class. That proposition runs contrary to the genius and to the morality of America. We all have the right to listen, and we all have the right not to listen.